I expected love, jealousy and nostalgia from Tin Man. And I found all those things, yet not in the guise I’d imagined. The novel is short, less than 200 pages, but Winman manages to encapsulate entire minds and lives within this compact story. It’s told from two perspectives – that of 46-year-old Ellis, who’s dissatisfied with his working-class existence after losing his wife Annie in a car accident and from Michael, his closest friend, whose wistful recollections are detailed in a journal that Ellis discovers. Both are historical in the sense that the ‘present’ takes place in 1996 – an unusual choice, but poignant for a reason that becomes apparent later in the book. With the promise of a love triangle, I anticipated drama, but the novel steers away from high action and veers towards contemplation; the pleasure of living life to the full and savouring the moment. The relationships are complex and sexuality fluid. There is jealousy, but there is also kindness, respect and mutual affection. Love binds the characters together throughout the decades, beyond death itself – finally bringing redemption. It’s impossible to share this review without praising Winman’s skill as a writer. Her words are brilliantly concise, and her subtle handling of emotion brought tears to my eyes more than once. The patterning was deft too with clear motifs that steer the reader to key themes – sunflowers, Walt Whitman’s line O Captain! My Captain! (also used to moving effect in Dead Poets Society) and panel beating (the tin man). The structure is intricate with many flashbacks but it holds together convincingly, giving a rounded feel to the novel. 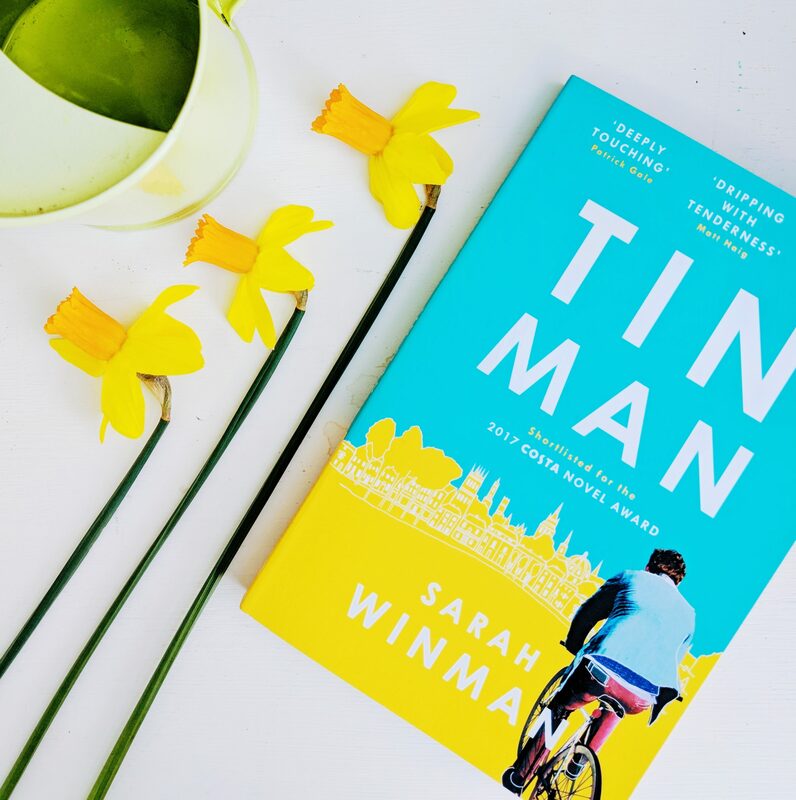 Tin Man isn’t for those who seek plot, but if you are searching for a bittersweet reflection on life and love, then this novel is pretty perfect. As a new Winman convert, I’m looking forward to reading her other books and will relish my summer days even more after following Ellis and Michael’s journeys. This is such a succinct review of Tin Man. Although I read about the book in a lot of places, it is your review that has convinced me to pick up the book sometime soon.